When he proposed, she deliberated for six months before saying yes, and they were married in the garden of her parents' house on June 18, 1953. The 350 guests, elegant big-city folks from Atlanta and rural neighbors from Alabama, made it the biggest wedding, white or black, the area had ever seen. While initially wary of dating a Baptist minister, she was impressed by his sophistication and intellect and recalled King telling her: “You have everything I have ever wanted in a wife” The two were married at the Scott family home near Marion on 18 June 1953. After the wedding they returned to Boston to complete their degrees. 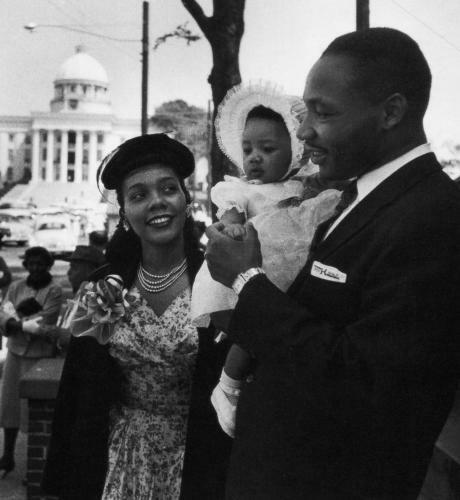 Coretta Scott King earned her bachelor of music degree in June 1954. 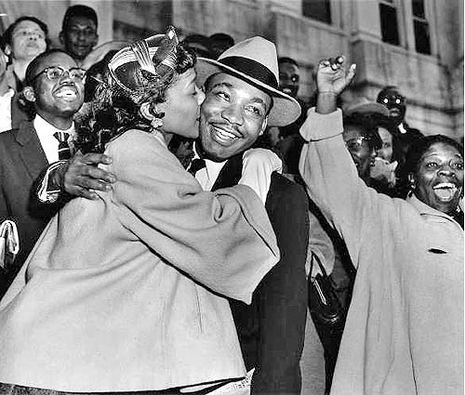 Although Scott King was focused on raising the couple's four children: Yolanda Denise (1955), Martin Luther III (1957), Dexter Scott (1961), and Bernice Albertine (1963), she continued to play a critical role in many of the civil rights campaigns of the 1950s and 1960s, performing in freedom concerts, that included poetry recitation, singing, and lectures related to the history of the civil rights movement.